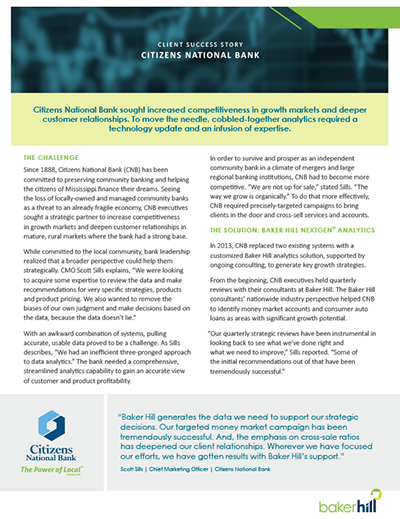 Citizens National Bank sought increased competitiveness in growth markets and deeper customer relationships. To move the needle, cobbled-together analytics required a technology update and an infusion of expertise. © 2018 Baker Hill Solutions, LLC. All rights reserved.